Solar farms face a unique set of risks and are increasingly being targeted by thieves. So what can you do to stop your solar farm becoming a target for criminals? What is remote CCTV monitoring and how can it help with solar farm security? 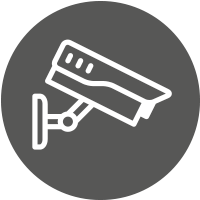 Security experts can monitor the CCTV installed at your site 24/7, making your security systems cost-efficient and effective. When unusual activity is detected at your site, your solar farm CCTV will send images of the activity to security operators at the Farsight remote monitoring station. The operators will then begin to monitor the CCTV cameras live from your site, analysing footage to identify what caused the alarm and take appropriate action. Remote monitoring can be in place 24/7, overnight or at any other time you require. Intruders will be deterred from your solar farm, before even entering, by the presence of signs announcing live CCTV monitoring. Audio warnings are hugely effective in scaring thieves from your site. The relevant emergency services will have had visual verification of an incident, making it a higher priority for response. Without personnel at your solar farm, you’ll feel reassured that experts have it’s security in hand whenever you need. With Farsight Security Services you’ll also benefit from the very best in remote monitoring services, with market-leading technology, highly trained security operators and standards that exceed the industry average. Find out more about what makes Farsight Security Services different for installers and for customers and site owners. We provide remote monitoring security services for all types of renewable energy farms, including wind farms. Like solar farms, wind farms require quality security due to their rural location and their being unmanned. Wind farms may be targeted by vandals in particular, making remote CCTV monitoring a great way of maintaining security and ensuring any unwanted visitors are warned away from the site. Get in touch with us today to find out more about how we can help improve your renewable energy farm security. Call us on 0845 3710101 or send us an email. *You can read the full news article here. Get in touch with us today to find out how Farsight Security Services could improve your wind or solar farm’s security. Phone us on 0845 371 0101 or send us an email.